Simon Dubus is 23 year old and he made a master degree in advanced European Studies at Sciences Po Lille in France. His master degree thesis was on the consequences of the introduction of the ordinary legislative procedure on the CAP greening during the 2013 reform. His hobby’s are literature, cinema, volleyball and basketball. You have been visiting the European Parliament. Can you tell me what your main activities were? During my visit of the European Parliament, I attended committee meetings, group meetings and conferences. Such activities were complementary with the theoretical understanding of the EP I acquired during my studies. It was a great experience to be able to observe debates and the voting of the amendments to a regulation. Why is networking in Brussels so important? It is always an enrichment to get to know new people in Brussels as there is such an outstanding diversity of experience, languages and nationalities. Learning about someone’s experience is of highest importance in order to define what would be the professional project adapted to your goals. It is also helpful to find professional opportunities. As a graduated political science student, is the reality like you had expected? As my studies were focused on the EU, I already had a good knowledge of the functioning of the EU. Besides, I was especially working on the EP during the writing of my mater degree thesis. Thanks to this, the reality matched my expectations, but it is always good to observe reality by yourself. Which committee meeting was the most important for you and opened up your mind? I was looking forward to attending an AGRI Committee meeting as I especially interested in the CAP. Agriculture is in my opinion the foundation of a society. The agricultural situation determines the state of the entire society. For instance, an agricultural crisis can jeopardise the stability of a political regime. What is the most important lesson that you have learned about the European Parliament? The idea that it is needed to behave as an enlightened citizen, scrutinizing as much as possible the political debate. 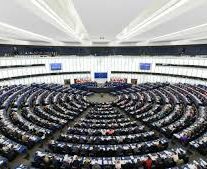 What is happening in the EP deserves attention, and I think any citizen is able to seize the topics that are debated and can rightfully express his stand toward it’s representatives. I would like to perform an internship in the EU institutions, and eventually to work there by passing the EPSO (European Personnel Selection Office) test. If I find a good opportunity, I might also work in the private sector with an organisation related to agriculture. Do you believe in the future of the European Union? I deeply believe that the European Union is a good political project, and that the EU has the capacity to overcomes hardships it’s currently getting through. These hardships are opportunities which could help fixing current problems with the EU. The Brexit could be for instance the occasion to consider solutions to improve citizens’ trust and involvement in the EU. I believe that you are the ‘next generation’. If you could say something to the political leaders now in general about your thoughts on Europe. What would you say? I consider that the priority is to reduce the distance between the EU and its citizens. It is necessary to empower citizens in such a way that they would be conscious of their capacity to produce a significant change in EU’s policies through their vote or through other sorts of political actions, like being involved in a civil society organisation. Thank you so much. I wish you all the best in the future. Next Article » The new H2020 Energy Work Programme is out! A Civil Economic War Among the EU Member States?